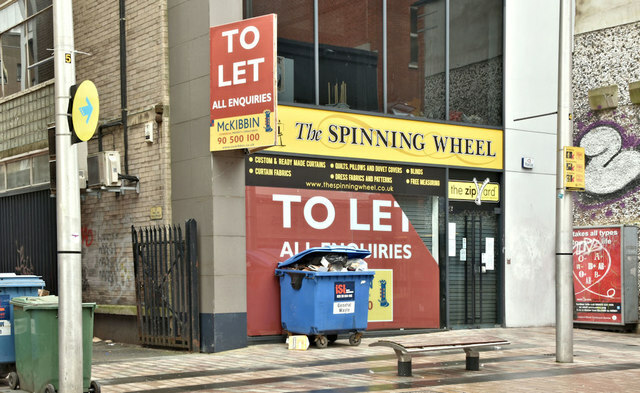 See J3374 : The Spinning Wheel, Belfast (August 2017). The “Spinning Wheel”, 21 Fountain Street, closed during November 2018. The closure is attributed to a decline in business following the Primark (Bank Buildings) fire. This page has been viewed about 31 times.